They had been ordered in the FY1898 budget instituted by Von Tirpitz, then Minister of the Navy. They were quite close to the previous Kaiser, but some of their secondary turret artillery had been replaced in barbettes. 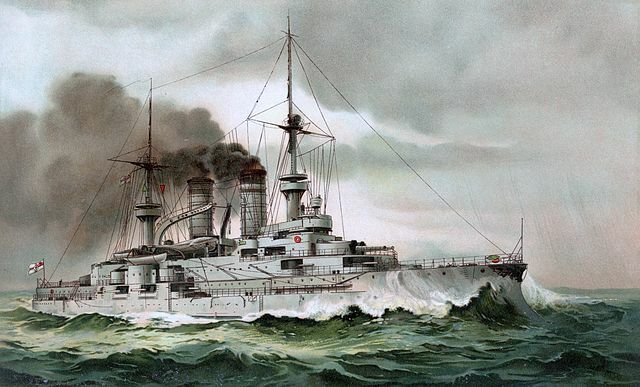 The new design was prepared by Prof. Dr. Dietrich, chief constructor of Kaiserliche Werft Wilhelmshaven, which lobbied to keep the same armament despite insitance by Konteradmiral Emil Felix von Bendemann to swp to 280mm guns. 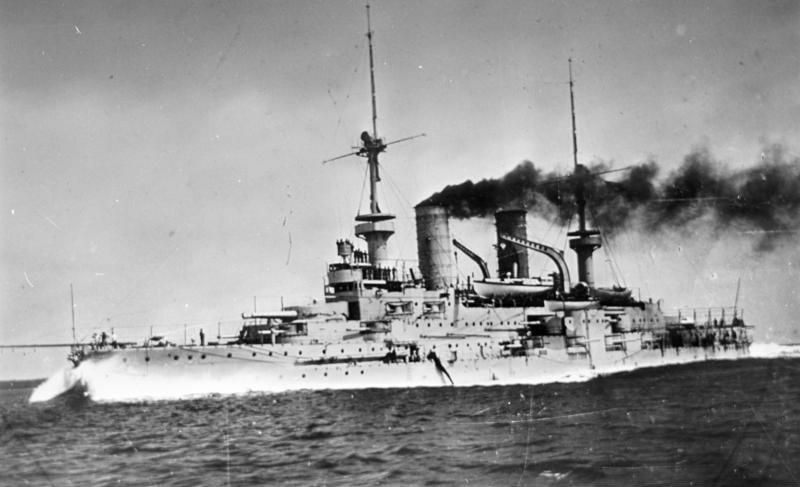 The Kaiser’s design lessons were also digested in terms of superstructure height and stability. The hull was more like a continuous bridge. As for the Kaiser, the front turret was resting on a battery bridge, overlooking the front deck. Another change was the belt that was reinforced and more extensive on the vertical plan. The speed was increased by half a knot. The hull was also heavier and much wider. 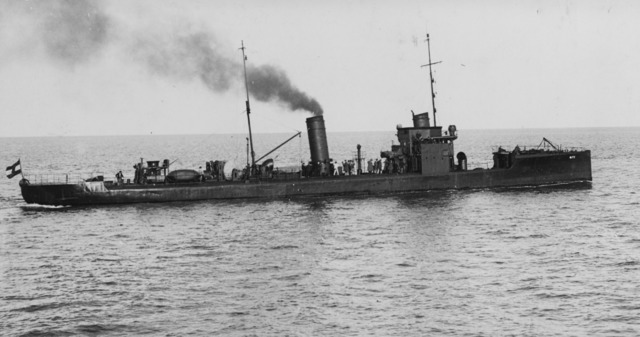 For close-quarter combat, the ships were equipped with six 45 cm (17.7 in) torpedo tubes, above-waterall with swivel mounts. The torpedoes 87.5 kg (193 lb) TNT warhead could reach the enemy at 26 knots or 32 depending of the settings. 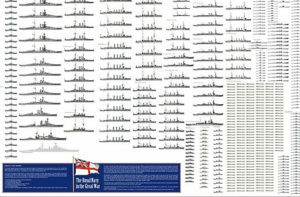 This made for a shorter range, from 800 to 500 m.
The main armament comprised four 24 cm (9.4 in) SK L/40 guns in twin gun Drh.L. C/98 turrets, which allowed elevation to 30° and depression to −5°. Range was 16,900 meters (18,500 yd). 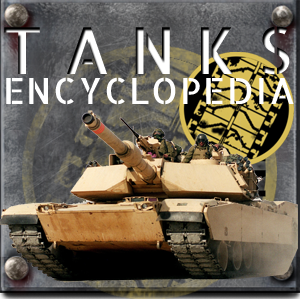 They can fire a 140-kilogram (310 lb) shell at 835 meters per second (2,740 ft/s), with 85 in store for each gun. Secondary battery comprised eighteen 15 cm (5.9 inch) SK L/40 guns. Four in single turrets and the rest in casemates. 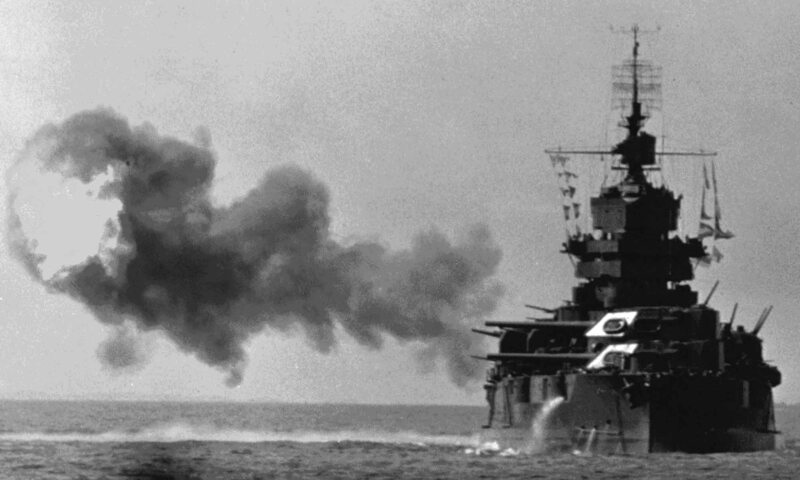 They were fast-firing at 4–5 per minute, with 120 rounds in store. These rounds could be fired up to 13,700 m (14,990 yd) and weighed 51kg (112 lb), leaving the muzzle at 735 m/sec. (2,410 ft/s). In casemates and pivots were also mounted twelve 8.8 cm (3.45 in) SK L/30 quick-firing guns to deal with torpedo boats. Their high rate of fire was about 15 rounds for a trained crew. All were 7.04 kg (15.5 lb), leaving the muzzle at 590 mps (1,936 fps). They were capable to hit a target in maximal elevation at 6,890 m (7,530 yd). 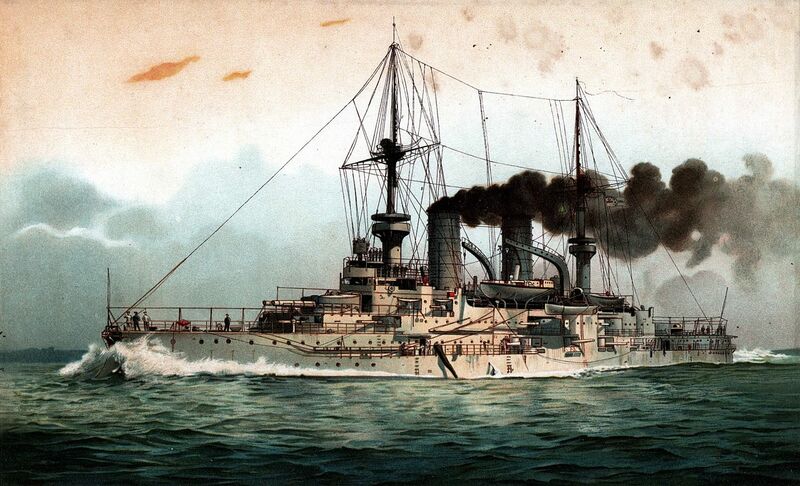 The ships were given Nickel steel made by Krupp. Decks were 50 mmm (2.0 in) thick, with sloped sides (up to 120 mm (3.0 to 4.7 in)) connected it to the main armored belt. The latter was 225 mm (8.9 in) in the central section which covered ammunition magazines, propulsion system and command organs. 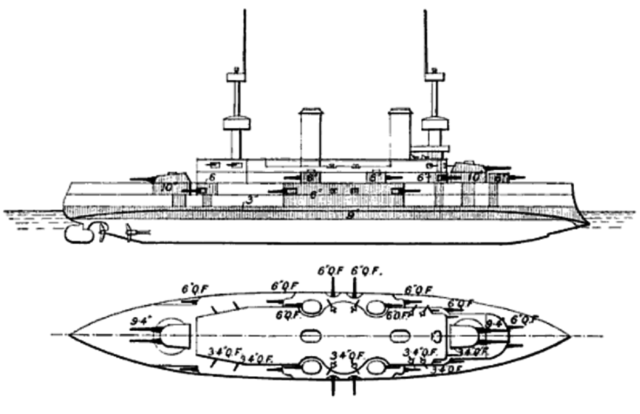 It was reduced to 100 mm (3.9 in) on either end while the the bow and stern were not protected at all. This belt was backed by 100 mm of teak planking. Casemate guns were protected by 140 mm (5.5 in) steel plates while the secondary turrets turrets were sides were increased to 150 mm (5.9 in), while gun shields were 70 mm (2.8 in) thick. The main turrets were 250 mm (9.8 in) thick with 50 mm roofs. The forward conning tower had the same thickness but rear one was only 140 mm thickwith a 30 mm roof. In 1914 they were assigned to IV Battle Squadron deployed to the Baltic, based in Kiel. 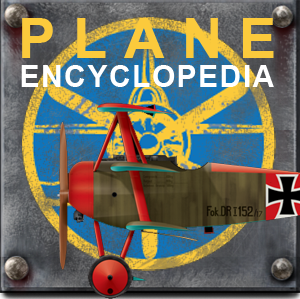 Until 1916 they were kept in reserve, making rare sorties and limited duty in the Baltic Sea against the Russian Navy. Under command of Vice Admiral Ehrhard Schmidt. 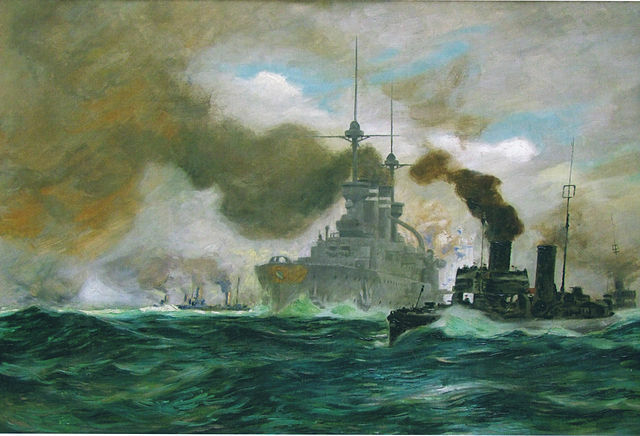 In early September 1914, a sweep was conducted against the Russian navy, without encounter. In May 1915, four of the Wittelsbachs bombarded Libau, a preparatory operation for a landing there by German troops. The were stationed there by the time of the Battle of the Gulf of Riga in August 1915 but did no fired a shot. Judged obsolete and too vulnerable to submarines that took their toll already against many faster cruisers, they were never really engaged. In 1916 they were reassigned to subsidiary roles, being withdrawn from active service and disarmed by 1916: The Mecklenburg became a floating prison, the others served as training ships. 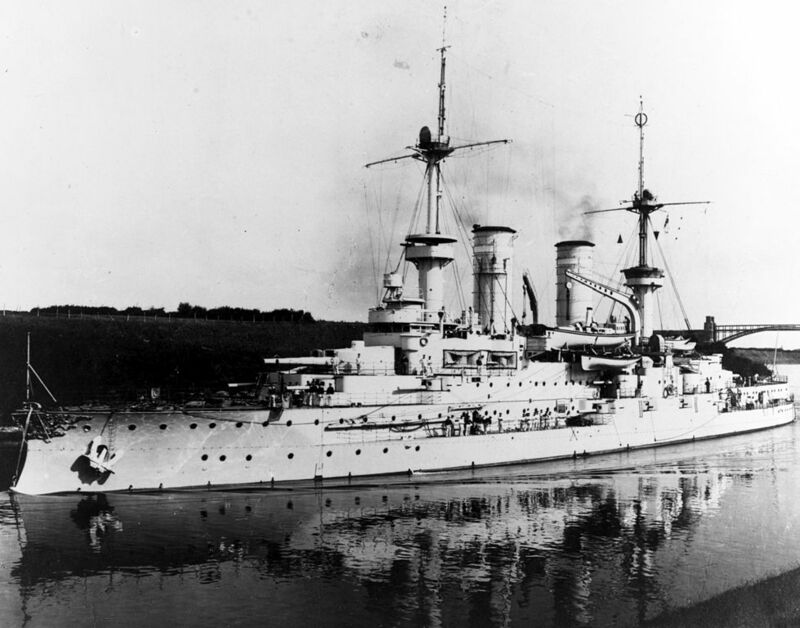 In 1919, the Wittlesbach (and Braunschweig-class Lothringen) were converted into minesweeper depot ships, motherships for ten F-type units stored on their restored bridge. The experiment ended in 1921. She served then as a floating barrack, and was later striken and broken up. The others shared this fate except Zähringen, which was converted in 1926 into a radio-controlled target. She served into this role until December 1944: Anchored in Gdynia, she was bombed by the RAF and what left broken up by the Germans after the war in 1949-50. 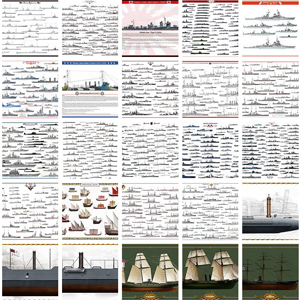 Specs Conway’s all the world fighting ships 1860-1905, 1906-1921.